What is the booking precedure? 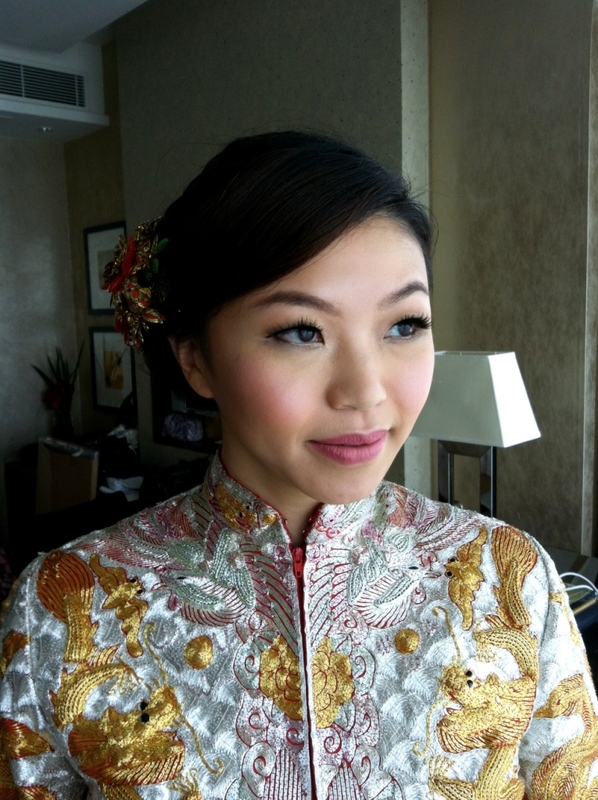 Thank you for your interest to book Spotlight image make-up team as the makeup artist for your big day! Please ring us or send us an email to see if the date you require our service is available first. If it is vacant, we can then arrange for a trial! After the trial, and if you are happy with it, you then place 50% of your chosen pacakge as a desposit, and the date is reserved for you. How long before the wedding do I need to have my trial? We understand that organising a wedding takes time and effort. This can get stressful, and related services can get booked up very quickly. 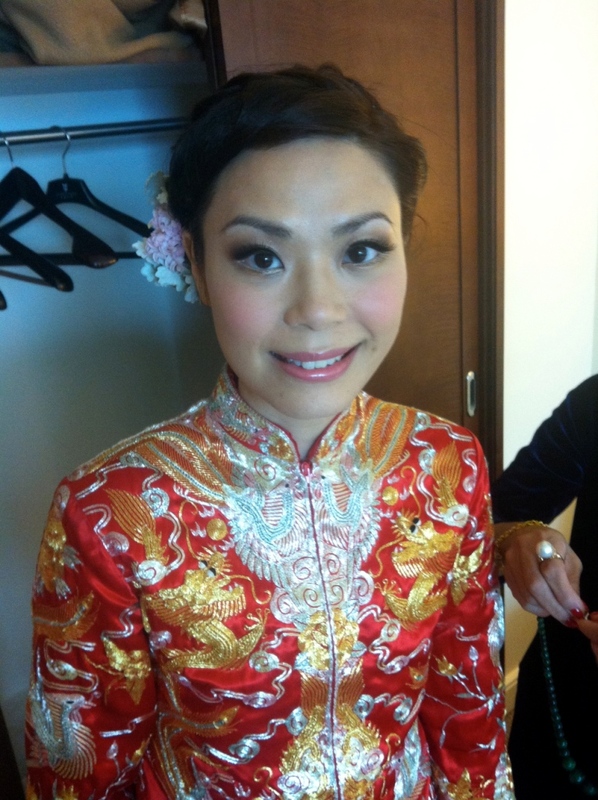 This is why we suggest you start booking your makeup trials 12-9 months before your actual wedding day. We know this could sound a long way away, and your appearance and ideals can change during this period, but do not worry. We only want to make sure you have a good chance to book successfully before the date gets swiped away by another bride! The trial is for you to know whether you are happy with the skills and personality of our artists. After you have confirmed the booking, we offer to most of our clients a free final trial 28 days before your wedding. This allows you to have a final rehersal of all the styles you will get on your wedding, and discuss any changes you may have since your first trial. 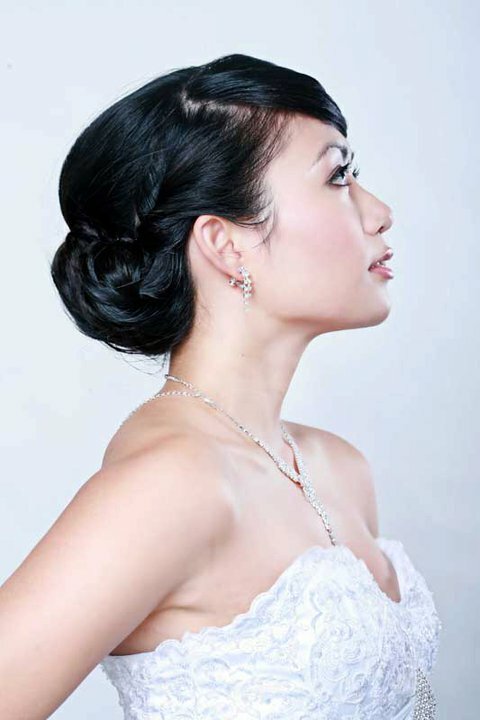 We want you to be absolutely happy and certain that you will be a confident and beautiful bride! What do I need to prepare/ bring before the trial? It is important to make the most of the trial by knowing roughly what you like. Collect images of makeup & hair styles you like from the internet or tear out sheets from books and magazines. Email them or bring them along to the trial to show us. We will then discuss together what styles will suit your best. Also let us know if you have any allergies to any products. 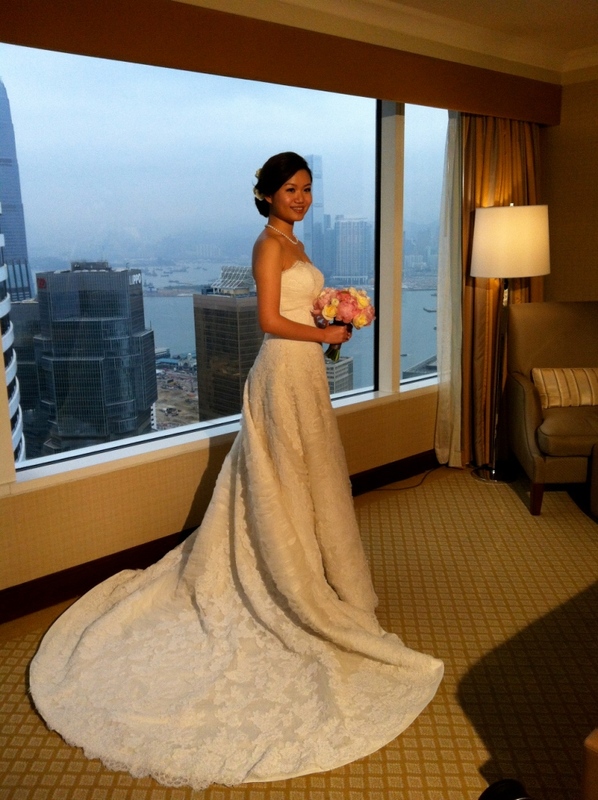 It is prefered to wear a white top, ie a white sleeveless top or tube top to simulate your wedding dress. This will allow you to see the correct colour combination with your overall look. Do I need to do skin/ hair treatments before the trial? Do not worry too much. Just do the usual skin procedures, such as moisturising and exfoliating at home. Put on your usual paper mask on the night before the trial to give your skin an extra boost. Do not try to do anything new or load your skin with extra skincare products. This could make your skin sensitive and cause irritations the next day. We can discuss further about ways to improve your skin only if necessary. If you are unsure about this, please contact us and we are always happy to help you. For your hair, again, just wash as normal on the night before. However, do not put too much conditioner and do not put a hair mask. Also, try not to put any styling products on the next day if possible! Can I wear makeup to the trial? You can wear your usual makeup to the trial, as we understand some girls just can’t leave the house without some mascara and concealer : ) We will carry out the full skincare procedure, including makeup removal pior makeup application. However, try not to wear full on makeup if possible. What makeup do you use? I have very sensitive skin. We have a wide range of prodcuts from most well-know brands and they are the best in the industry. Our professional artists will select the most appropriate products for you specificly. From our experience, when girls get allergies after makeup, is usually because of the skincare they use before the makeup, or the makeup base procedure was not done properly. The tools (sponges, brushes or fingers!) you use can also cause irritations on skin. However, do let us know if you are certain with a particular product that you do not want to use, and we will avoid it.